I continue my ten-part series on the excellent Aurora Award ebook bundle available now for a limited time at Storybundle. Ten ebooks, all winners of or finalists for Canada's Aurora Award for the best speculative fiction, and available at the price of a single book. Today's spotlight is on Caitlin Sweet's The Pattern Scars. We all have different things we look for in our favourite books. For me, it's fully developed characters that I can care about and prose that pulls you in and doesn't let you go. Caitlin Sweet's writing provides both, so when I was making up this bundle, I leapt at the chance to include one of Caitlin's books. 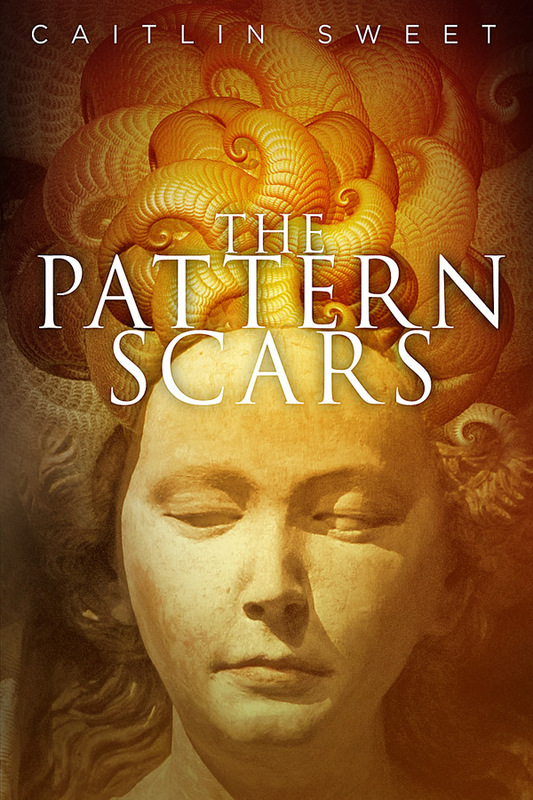 Not only an Aurora Finalist for best novel in 2012, The Pattern Scars also won the CBC Bookies Award in 2012 for Speculative Fiction. 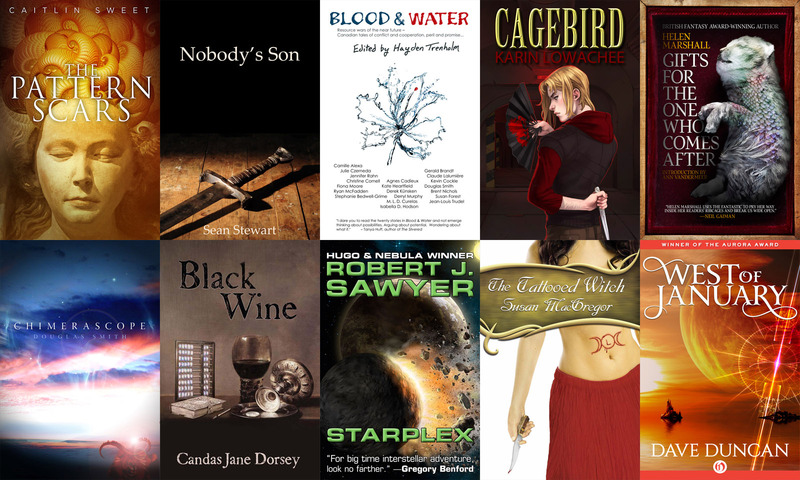 My series highlighting the great books in the awesome Aurora Award ebook bundle continues, today shining the spotlight on the Aurora-winning anthology, Blood & Water. Most Canadian SF&F authors got their start writing and selling short fiction. When I put this bundle together, I wanted to include at least one anthology to demonstrate the wealth and breadth of Canadian short speculative fiction. Blood & Water fills that bill perfectly. Like other authors in this bundle, I've known Hayden almost since I started writing in the late 90's. He's been an Aurora finalist ever so many times himself and has won the award three times, twice for his own short fiction and once as an editor, for this excellent anthology. Hayden also owns Bundoran Press, so he knows the writing game from all sides: writer, editor, and publisher. On a personal note, Blood and Water includes my Aurora winning novelette, "Spirit Dance," on which my novel The Wolf at the End of the World is based. Conflicts over resources are as old as human history. Climate change, along with continued population expansion and changes to the world economic order, adds a significant new factor to the equation. We can live without diamonds and gold, we can even find alternatives to oil, but water, food, land, and air are irreplaceable. 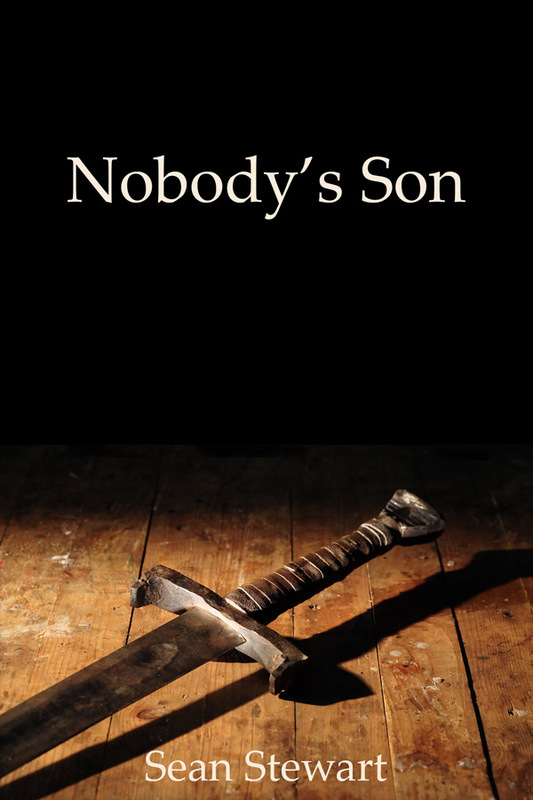 Today's entry for my spotlight series on the awesome Aurora Award ebook bundle is Sean Stewart's Nobody's Son. The Aurora Awards only recently added a category for "Best Young Adult Novel." That presented me with a problem when I was putting this bundle together, as I really wanted to include a YA work. Fortunately, Nobody's Son was originally published as a YA novel, even before that category became such a popular one with readers. Sean posted here on how the birth of his first child both prompted and influenced the writing of this book. In Nobody's Son, Shielder's Mark dares a great quest, breaks a mighty curse, and wins the hand of a princess... all in Chapter 1. 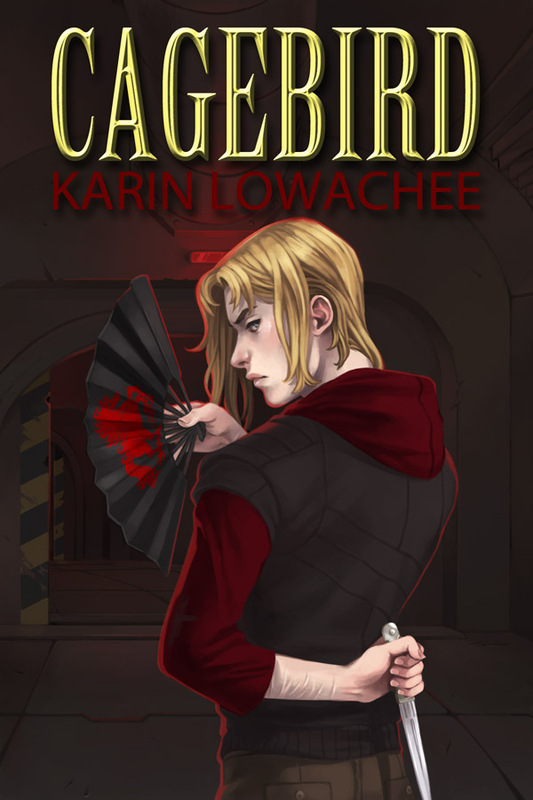 But Mark's deeds have consequences, and this working class hero has to learn fast to survive Court intrigue, an ancient curse, and the most bewildering challenge of all: marriage. 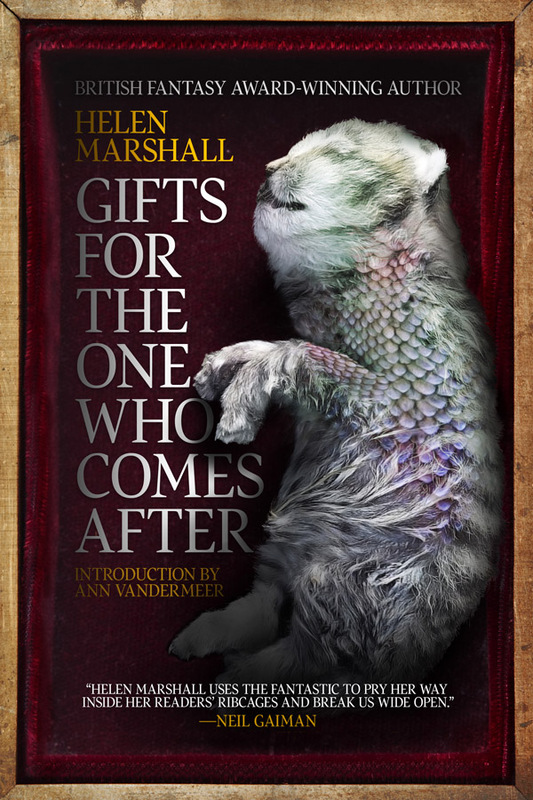 Up next in my spotlight series on the awesome Aurora Award ebook bundle is Helen Marshall's Gifts for the One Who Comes After. I first met Helen when she began working for the excellent Canadian small press (now not so small) ChiZine Publications. 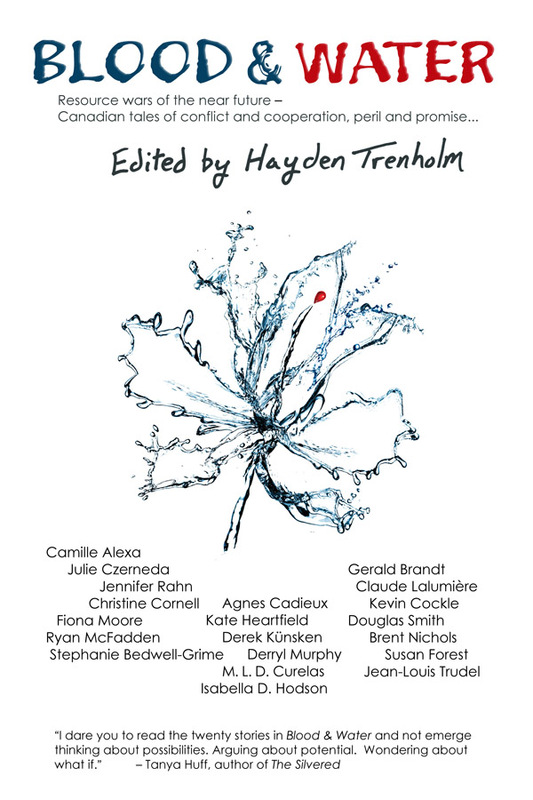 Helen was the editor assigned to me when ChiZine published my second collection, Chimerascope (included in this bundle). I didn't realize how lucky I was at the time. Helen has established herself as a master of the short form, and Gifts, her second collection, is ample proof. This wonderful collection offers a series of twisted surrealities that explore the legacies we pass on to our children. A son seeks to reconnect with his father through a telescope that sees into the past. A young girl discovers what lies on the other side of her mother's bellybutton. Death's wife prepares herself for a very special funeral. Aside from being a finalist for the Aurora Award, Gifts also won the 2015 World Fantasy Award for Best Collection and was short-listed for both the British Fantasy Award and the Bram Stoker Award. And you can get Gifts as part of this amazing ebook bundle of Aurora Award winners and finalists at a bargain price. Next up in my Aurora Award ebook bundle spotlight series is Candas Jane Dorsey's 1998 winner Black Wine. Candas is a Renaissance Woman. She writes both poetry and fiction, both mainstream and speculative, in long and short form. She's written television and stage scripts, magazine and newspaper articles, and reviews. She teaches and delivers writing workshops, is active in arts journalism and advocacy, has served on the executive board of the Writers Guild of Alberta, and was editor-in-chief of The Books Collective for over a decade. So, yeah—Renaissance Woman. She's also been a friend since I started writing. 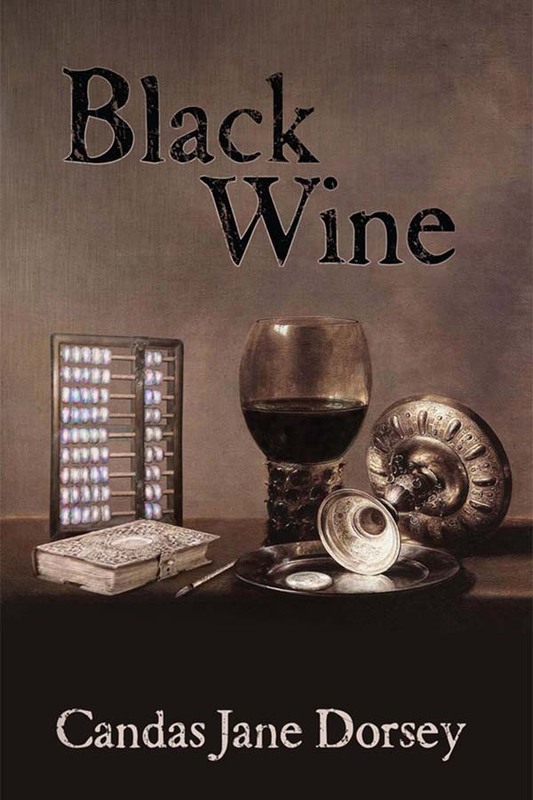 Along with the 1998 Aurora Award for best novel, Black Wine also won the James Tiptree Jr. Award and the Crawford Award. An old woman hangs in a cage; a young woman slaves on a rich lord's estate. How does a woman discover and assert her identity in a primeval, barbaric world? From slave dens to merchant cities to isolated mountains, Candas's first novel is a powerful exploration of gender, identity, and freedom. I blogged yesterday about the excellent ebook bundle of Aurora Award winners and finalists that I'm curating. Over coming days, I'll highlight the individual books in the bundle, to give you a better idea of what you get with this package. 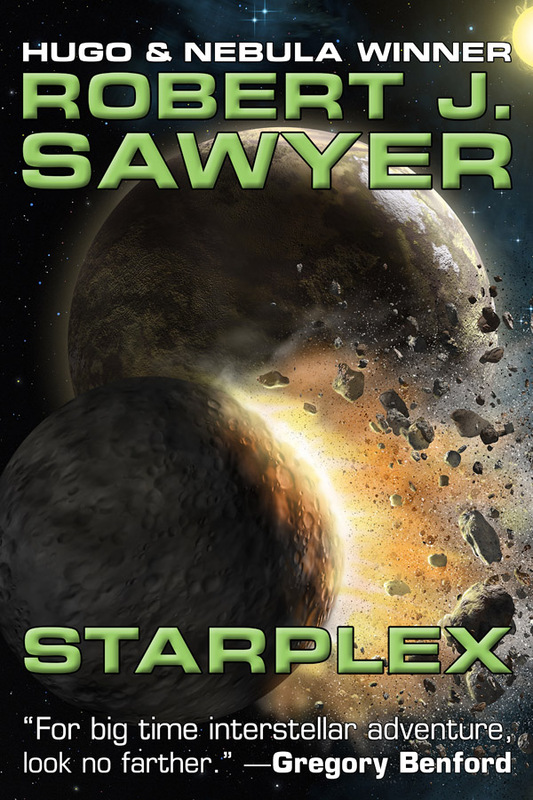 Today, I'm picking Starplex by Robert J. Sawyer. When I was putting this bundle together, I knew that I not only wanted to include a Robert J. Sawyer title, but that I had to. Rob has won the Aurora Award fourteen times, with another thirty final ballot appearances, more than any other Canadian writer. Rob is one of only eight writers in history — and the only Canadian — to win all three of the world's top Science Fiction awards for best novel of the year: Hugo, Nebula, and John W. Campbell Memorial Award. In 2013, Rob was also inducted into the Canadian Science Fiction and Fantasy Association Hall of Fame. And personally, Rob was a mentor to me and gave me my very first professional sale when he and his wife, the poet Carolyn Clink, edited the Canadian anthology, Tesseracts6. Starplex was my introduction to Rob's writing and remains one of my favourites. How would you like to own, at an incredible bargain, ten books that readers like yourself have already voted to be the best examples of speculative fiction by Canadian writers? Well, here's your chance. I'm curating an ebook bundle for StoryBundle.com that contains winners and finalists for Canada's premier speculative fiction award, the Aurora Award. The Auroras are awarded annually by the Canadian Science Fiction & Fantasy Association (CSFFA) for excellence in Science Fiction and Fantasy. The award started in 1980 as the Casper and was renamed the Aurora for the 1990 awards. Auroras now include eight professional categories and four fan categories. I'm honoured to have won the Aurora three times and to have been on the final ballot another sixteen. Kobo is running a special sale from Jan. 28-31 in Canada, United States, Australia, New Zealand, and the United Kingdom. 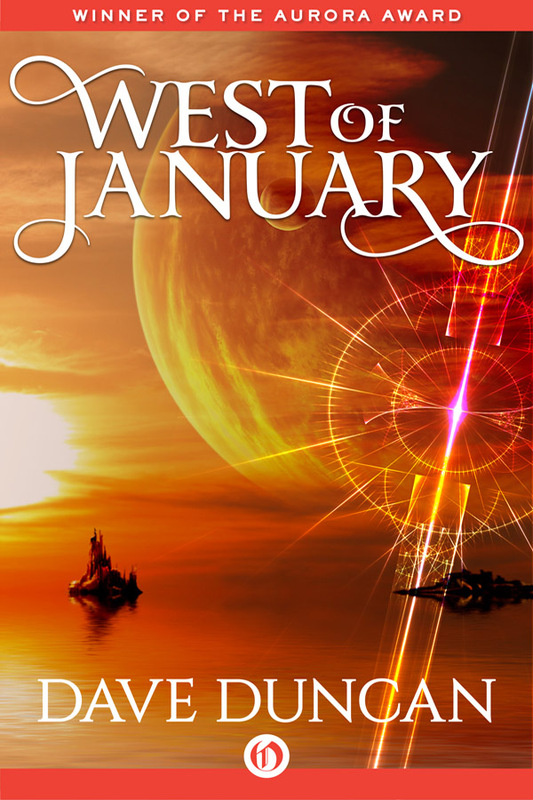 You can save 50% on any Kobo title using the promo code JAN1650 an unlimited number of times.